It is surprising how often people, who think punishments to be detrimental for learning, still approve praise as an effective tool in education. How is this possible? Both are based on the concept of superiority and having control over other human beings. Often this power is just artificial authority. My current position as a mentor for graduate students pursuing their M.Ed. degrees is delightful: I spend my days supporting my students’ understanding and learning process, but I don’t have to be a gatekeeper (and I don’t have to do any grading, yay!). Mentoring requires a specific disposition: the belief that everyone can learn, and that learning cannot be enhanced by praise and punishment. Now, please don’t get me wrong. Performance can be increased (up to a point) by praising and punishing and pushing students to complete their products, but engaging in one’s own learning process and deeper learning requires self-regulation and self-reflection. We can lead students to that path but we cannot force them to walk it. 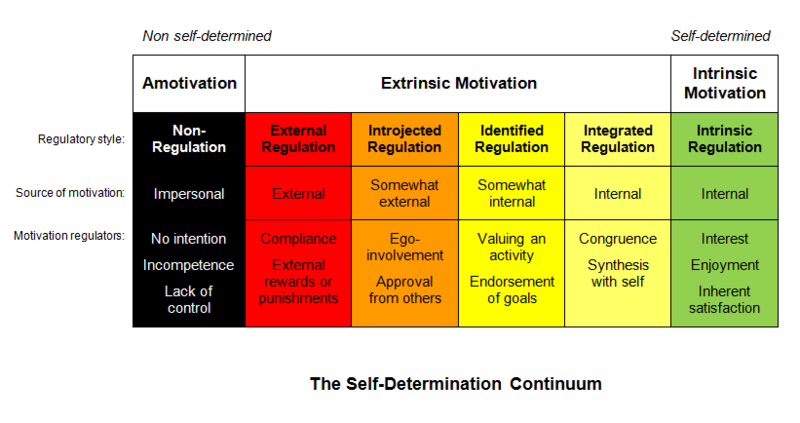 External control cannot help students forward in the path to self-transformation. I do remember the time when I still believed in praise and punishment. I am sure my children remember that, too. And for that I want to apologize to them, wishing that I knew more about learning and development when they were young. Fortunately it is never too later for additional development. Kegan and Drago-Severson have an excellent framework of adult development. It hurts my ears when I hear someone talk about praise and growth mindset in the same sentence. The two could not possibly fit together. Praising someone means that they have met an invisible standard, for which we want to extend our approvals as superiors. Rewards and gold stars are just a tangible form of praise. Growth mindset carries the same notion of self-transformation as engaging in the personal learning process. As educators it is important to offer timely feedback for students about their learning. However, praise and feedback should not be mixed. Feedback focuses on the achievement and based on transparent criterion of expectations. Praise is based on hidden expectations or personal opinions. It is a value judgement about the behavior or qualities of another human being. Every educational institution has their own hidden curriculum – the expectations that are not voiced or written. Often these appear in the form of practices and traditions. Hidden objectives are the hardest to meet. A common coping mechanism to meet hidden expectations is the attempt of pleasing the person at control – whether teacher, professor, boss, or anyone else in the position of power. The damage for the organization gets doubled: the person in control only hears the voice of pleasers and cheerleaders, and the structure becomes skewed with the lack of open and honest dialogue. This can easily lead to cliques in classroom (or workplace) and decreased collaboration. Those who remember Berne’s Transactional Analysis (TA) will probably recognize the roles of Parent and Child in the praise and punishment situations. Engaging in dialogue on Adult-Adult level is the most important tool for every educator. Students often fall into the trap of playing the child role, especially if their learning process gets reduced to creating learning products that may have no real-life connections, and if they often face praise and punishments in their learning environment. 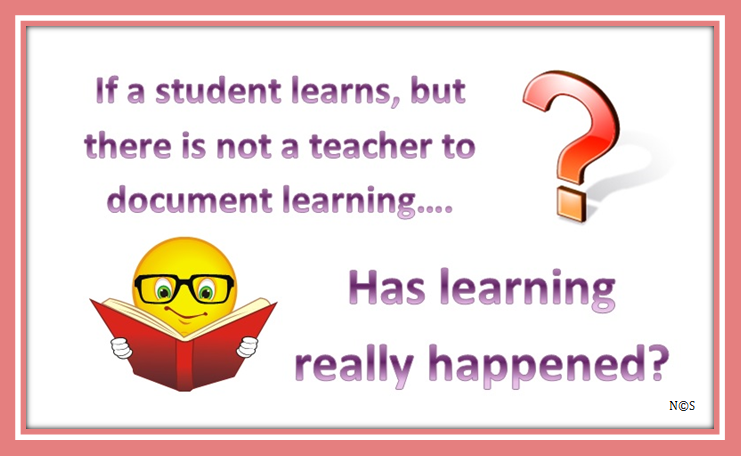 This can happen to adult students too, especially when their learning motivation is externalized. On the positive side it is fascinating to observe young children to behave with maturity above their years when the human dignity is extended to them and they are offered opportunities to self-regulate. Grant Wiggins about splintering the learning content. This is an important message for all curriculum and instruction designers, but also for each and every teacher. Good teaching is about providing information in student-sized chunks, and making sure the details don’t obscure the whole, the entity we are learning about. Contexts and connections are SO important in meaningful learning! Effective teaching is often seen as increase in student learning. I can understand the thought behind it, because after all teaching is futile if learning is not happening. But getting these two different phenomena -teaching and learning- productively intertwined in the classroom is a challenge all educators are facing, and correlations between the two should not be drawn in haste. The old saying about leading the horse to the water but not being able to force it to drink is very descriptive for the differences between teaching and learning, and often also quoted as such. We attempt to measure the ways of presenting information for students to learn, and seem to think the score makes one teacher more effective than another -but I am not convinced that it makes such a big difference how we take the horse to the water: it will drink when it is thirsty. Fortunately students are born curious and ready to learn. The only thing we need to do is find a way to cooperate with that curiosity and help students preserve their interest in learning and their sense of wonder – because that is where all true learning starts: wondering if, how, when, why…. Whether students have successful learning experiences and really (deep) learn the content depends on multiple factors found in areas of both instruction and curriculum. Students’ intrinsic motivation helps them to engage, but unfortunately in some measurements of effective teaching the motivation is translated to teachers’ duty to motivate students to learn, which leads students functioning on extrinsic motivation, and never engaging in the deep learning process. The learning environment (both physical and emotional) sets the tone for the learning experience. Students’ readiness to learn and their previous knowledge, perceived meaningfulness of content, student autonomy (support vs. control), and cooperation with the teacher all have various effects on the learning outcomes. The concept of effectiveness is hard to define. Maybe we should pay more attention to the quality of interactions, and see how they contribute to successful learning experiences? Learning happens in interactions between the student and the content to be learned. In addition to interacting with the content of their learning resources, students also interact with many other things – environment, peers, teachers, staff, parents, media, social media, etc. Focusing their attention to the learning task is a choice every student makes, purposefully or being unaware about it. We teachers can help students choose wisely and spend more time interacting with their learning resources, but we certainly cannot force them into doing it. Forced interactions are of poor quality, and result in shallow learning when students perform tasks to fulfill the expectations, but don’t engage with their thoughts and/or curiosity. Traditionally we have perceived the teacher to be one of these learning resources, or even the source of information, but I am wondering if it is not the time to recognize how a teacher’s job is much more importantly about facilitating student’s experience and engagement in interactions that result learning. This is what pedagogy and andragogy are about: supporting students’ learning in a dialogue, individually and as a group, so that they each can be successful in their studies. Please note that I am not undermining the subject matter expertise of teachers, because being knowledgeable is essential for effective teaching. I just want to emphasize the fact that simply with enormous knowledge about the area of expertise one does not miraculously become a master teacher, because teaching (or learning facilitation) is an art and science of its own. And quite frankly, it is hard for an expert to recall what it was like to learn the first steps of a complex skill set. We pay much less attention to the details after something has become an automated skill. Effective teaching is knowing those details, understanding how the skill builds and being able to communicate about the process. And of course the most effective teacher is the one who makes herself unnecessary by empowering her students to become autonomous learners. So, when creating metrics for measuring teacher effectiveness, should we also assess students’ independence or autonomy in learning?